In How Anyone Can Create a Successful Website,” creator Ben Wyde initially asks, “Are you ready to create something great?” And with a sense of motivation and purpose, you’ll answer that question with an unequivocal, “Yes.” Moreover, once you have Ben’s blueprint, you’ll actually be able to create something great – a popular, cash-pulling website. 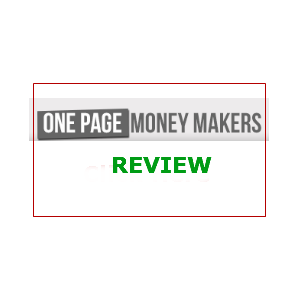 My How Anyone Can Create a Successful Website review will focus on Ben’s new book, sure to be relied on by scores of struggling and new affiliates who need guidance and direction. My grandson is in his senior year at high school and is beginning the college application process. While he does not have to make a career choice or even declare a major, now is the time for him to consider his interests and aptitudes. His subsequent choices will then put him in a position to achieve his desired goals. Similarly, the aspiring web master may not completely envision the end result of a website, but he/she should have a firm grasp for the featured niche and topics that will form the foundation of the site. Yes, it’s imperative to know the competition of a subject (i.e., given keyword phrase), whether the demographic is inclined to spend money, the search volume, and a host of other factors. But it’s equally important to choose a topic that you are passionate about as others will share that same passion. How Anyone Can Create a Successful Website author, Ben Wyde, understands that the niche selection process can be daunting and overwhelming. As such, he provides some very clever ideas on how to best decide what your site will be about. He will ask you to consider your expertise, hobbies, interests, how you allocate your money and time, and other potential subject-inspiring suggestions. And if you’re still niche-indecisive, Ben generously provides the 15 best niches of 2014. You may already know about the popularity of weight loss and dating, but this list comprises some surprises and I’m even planning to create a niche site around one item on this list. 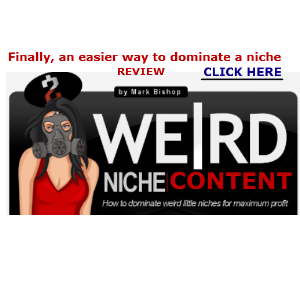 As a last recourse for those who are still stuck and uncertain what niche or sub-niche to highlight, Ben also reveals 4 super-unique niches. He has done his homework, and when I reviewed some of his ideas, it appears that these subjects are popular although not extensively featured online. There is room to carve out your own successful site. Yes, you need an appealing website design and layout (I’ll cover that soon), but you’ll need to construct the foundation first. This means other choices to make: domain and hosting selection. In How Anyone Can Create a Successful Website, Ben Wyde reviews these topics at length. providing domain tools and rules. You’ll be privy to several methods for choosing domains, and ultimately come up with one that fits your niche perfectly and is memorable to site visitors. New affiliates may not realize the importance your hosting company plays in your site’s success. For example, the web host affects the loading speed of your site – a criterion that Google uses when determining site ranking. Consequently, Ben reviews hosting considerations and even gives you his favorite one. Of course, once you have domain and host in hand, you’ll need to set up your site. Technophobes have no cause for alarm. In Anyone Can Create a Successful Website, Ben systematically explains how to set all the parameters up, including WordPress installation. (WordPress sites are still very much in favor with Google and are easy to use, even for site newbies.) Your foundation is set. Now is the time to add some flair and personality to your site. WordPress offers a myriad of themes – both free and paid. The theme helps to determine website design and layout. In How Anyone Can Create a Successful Website, Ben provides theme resources, keeping an eye on their options and preferences, such as color scheme. With his help, you’ll come up with a theme that is aesthetically-pleasing and highly functional, and one that is SEO-friendly (i.e., its coding will contribute to your optimization efforts). You may have heard the expression, “Content is king.” Many gurus believe that it is a crucial factor in determining your site’s success. However, some affiliate marketers state that website content is far over-rated and that you can achieve top ranking with even mediocre or subpar content. Ben Wyde and I are in the camp that values compelling content – not just for the Google robots and ranking factors, but for your site’s visitors. An entire chapter of How Anyone Can Create a Successful Website is devoted to content creation. Visual and written content considerations are included. You’ll learn the types of sites you can establish, and how you can enhance your visitor’s experience. But if you’re resistant to writing, there’s also the outsourcing option, another topic discussed in Ben Wyde’s book. But even the most alluring site is meaningless if you don’t get visitor traffic. The idea is to make money and without an audience, you’ll be one of the vast majority that never makes an online profit. Ben does not want this to happen to you, and as such, he has included discussion on a variety of traffic-generating strategies. You’ll soon be enlightened on how to write in an SEO-friendly way, where to share your best content (social media is a must), why guest blogging can be effective, and other methods to pull in the crowd. While free traffic sources are preferable, remember that paid ads can work, too, and this is also shared in the book. Finally, it’s time to monetize and there are so many options available. Ben discusses what he feels are best monetization practices. You can serve as an affiliate, create your own product, earn ad revenue, and engage in so many other income-producing endeavors. 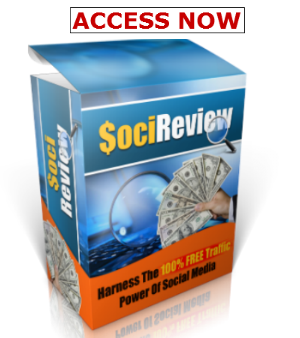 This training is only $9.97 – a virtual steal for the information that Ben provides. You’re not only learning how to build a successful website. You’re actually learning how to build a successful business. Towards the end of the book, Ben underscores the notion that the site is a work in progress – even when you’re making good money from it. 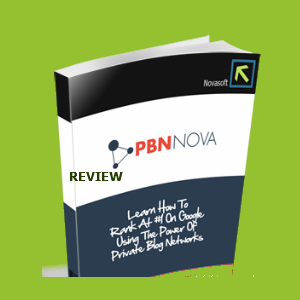 He shows you how to perfect the site, especially the home page, analyze site statistics, and create a long-lasting relationship with your visitors (list building/emailing is essential). He even reminds readers to have fun, keep learning, and concentrate on the 80%/20% principal. Here, you’ll discover how to maximize your financial results by focusing on the 20% of activities that give you 80% of your profit. This How Anyone Can Create a Successful Website reviewer appreciates Ben Wyde’s work and insight. 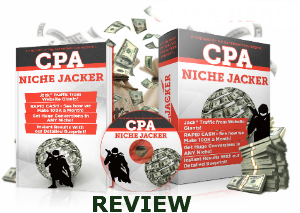 He truly lays out, in a step-by-step fashion, how to construct a prosperous and lucrative website and business – one that is sure to generate a stream of revenue for you. Those who need more individualized and personal guidance, can hire Ben Wyde for a month. (He may have long-term coaching options available, too.) For $79, he offers Niche and Content Coaching via email for an entire month. This may just be the springboard to launch, grow, and build your successful website and business. Sign up for Ben Wyde’s Niche and Content Coaching.